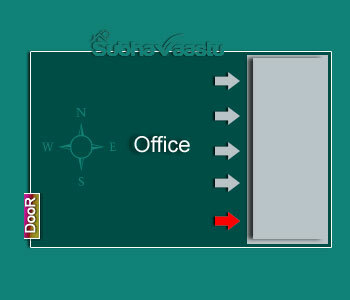 Originally there are no Vastu shastra principles mentioned earlier on this office cubicle, particularly cubicles. Very long ago vastu shastra written by our ancient Indian sages, on those days, they never expected this type of cubicle developments in the future. They have not written about cubicles in the office. 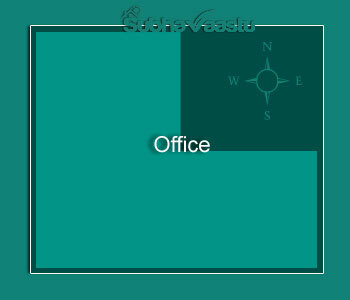 There is no such word cubicle vastu, now recently this word has derived and used in the office as per their convenience. In simple we may call it as partitions, the latest word is cubicle instead of partitions. We are applying partition principles for these cubicles. 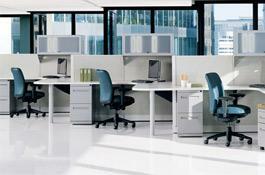 Cubicles and partitions are not the same to same, some variation principles apply to these two. Partition means walls have partitioned the room and the same wall is touching the floor and top, whereas the cubicle means it may be only 4 or 5 feet from flooring, in some cases it would be only 42 inches too. The cubicle is half part of this partition wall and made with readymade materials. Cubicle partitions in premises may complete within a day. Easy process and it provides some privacy to the staff. Now, staff (employees) also likes this cubicle system, especially ladies/female employees. It may be just like cabana for the employees to get some privacy. You are aware that Northeast direction should not be disturbed in any place. While making the cubicle partitions in an office one should be cautious in separating the premises. Northeast should not be partitioned or separated from the main premises. If Northeast may be separated or blocked then the entire office may have a bad impact. Now we are discussing on these cubicle partitions. We visited one huge office in Mumbai (city name changed) in the year 2008, this is one software company. They made some partitions in the office. Basically, this office is having excellent Vastu qualities. Due to cubicle partitions, they lost benefits. One of the directors called us to visit their home for vastu consultation, after completion of their home vastu consultation, they requested us to visit this office. After observing the entire office, we found some major negative issues. 1. Southwest-west main entrance door, which was shown in the above image. 2. Accessing the East location through the Southeast area, which is clearly shown with a red colored arrow mark in this above image. 3. Chairman chamber is in Northwest place. The east direction has 2 feet of depression, which is wonderful support for this office. In the above image, it was clearly shown with mist color. We requested them for only 3 changes which are very easy for them to do. This office monthly rent is Rs.2,50,000/- and our corrections cost is only 1 lac rupees. No way for getting pains in doing these simple 3 corrections as our corrections cost won't cross even 50% of their monthly rental. The said director and we all sit together in the chairman chambers and explained how easy to do all the said small 3 corrections. Our corrections are only one-time. But the chairman did not accept these small corrections which were proposed by us. Generally, we never wish to press them to alter those corrections, because FATE is most important than any other. Against to our principle, we requested the chairman (honestly speaking we beg him) to complete these corrections in view of staff who are working for the company. Already the company is in financial troubles. Within only one year they lost the entire business and the staff wishes to leave the company and already searching for jobs in other companies. While in our inquiries after 3 years, say about June 2011, the company lost trust with financial supporters and other directors. Finally, the company closed. All working staff moved to other companies. Closed the shutters. The office is a rectangular one and the dimensions are approximately 250 feet East direction to West and 150 feet from South to North, overall it comes to 37500 SFT. Here the main entrance to the office is Southwest-west. This entrance is not an auspicious entrance to the office. We cannot change this main entrance door, for that, we recommended a very small correction. Due to the cubicle partitions, the inner part of the East and Northeast corner accessing is only from Southeast direction. Later on, believe us, the chairman of the company used to take the drink and attending the office, afterward, he addicted to it, without liquor he cannot attend the office. He is not concentrating on anything, slowly one after other experts in this office left and joined other companies. Early of the 2012 year their office closed, applied for the IP/bankruptcy. At the final stage, we got the information that they like to take vastu consultant services. But already time passed. They are highly educated and USA returned NRI's. Their domain is also taken by somebody. Pity, very pity thing is that they are unable to secure even their domain also. That domain has a high reputation in the society on those days, it starts with "G"
2. Cubicles placed towards North which all were in the wrong places. 3. The head of the office is dead against for Vaastu and not at all interested in any corrections. By observing his adamant nature we proposed only one correction, for that also he won't listen to us. 4. Toilets constructed towards Northeast corner. 5. The entrance door to the Boss chamber is wrongly placed. 6. Northeast corner was blocked by some partitions, if we wish to reach Northeast, the staff has to reach it through Southeast only. Our great mistake in this regard is we visited this office without consultation charges, so the chairman did not given any weightage to our recommendations. When we come out from the office we expressed our unhappy and pains to "S" the director of this company who asked us to visit this company. When there is a huge office, one should not close the Northeast with cubicles. This is the wrong placement for cubicle planning. Don't close the exactly East direction with cubicles. North should have some open space for the accessing. Best cubicle placements are South, West, Southwest quadrants. Before planning the cubicles, check the height of the partitions. If there is very less height then one can plan them at entire premises, except north, east and northeast. If it is required to make cubicle partitions in these 3 areas, then please leave atleast some space at East, North and Northeast directions. In this image it was shown that except Northeast quadrant all the remaining area has cubicles. Please leave space at the Northeast location. If at any cost, there is no chance to leave 1/4 space at Northeast, then leave at least comprehensive space at Northeast area. Please note that the chairman, main manager should sit at Southwest quadrant only. Or they may has their chambers at West or South even. While sitting in the office cubicles area, the best placement to face towards East or North, sit near to the west and south locations. Management should plan that staff has to sit facing towards East or North or even South and West directions, but not Southeast, Northwest, Southwest etc. These inclination arrangements may not bequeath good results. Is Vastu Shastra Effective on human beings? Buying flat, who is best vastu expert in Bangalore? Can I get Children's Vastu Shastra bedroom information? Buying home in Jor Bagh, who is best vastu consultant in Delhi? While cooking food which is the best direction our face should be? Sir, I am really very happy to get vastu information in your website. Thank you so much for your honest services to the society. I am working in a Private Company sitting in Cubical direction (west) . I have little bit of knowledge about vastu. Facing north or east is the best direction to me but due to sitting arrangement of Office is such direction I am unable to change the direction. I feel that due to this I am unable to get any financial development for last three years.